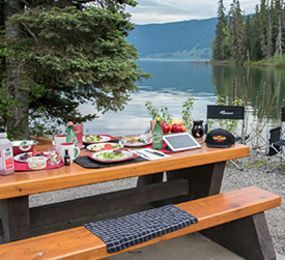 Are you looking for the ultimate across-country experience? Everyone has had the idea, at one time or another, to get an RV rental, starting a trip in Denver, Las Vegas, Los Angeles, New York, Orlando, San Francisco or Seattle and driving across the country at a leisurely pace, stopping anywhere you want and staying as long as you want. At Road Bear RV Rental & Sales we can make it happen and so easily! You can rest assured it will be a wonderful experience. You’ll choose from the newest luxury RV’s in the industry and start your carefree vacation with the exceptional customer service for which Road Bear RV is known. Obviously, you may worry about something going wrong, but with our staff on duty 24/7 to insure your RV satisfaction, you’ll sleep well on the back-roads of the US, unless the kids keep you up playing video games on the TV! Road Bear RV is your premier source for Motor Home and RV rentals and RV sales in North America, and GPS is available for all rental units. 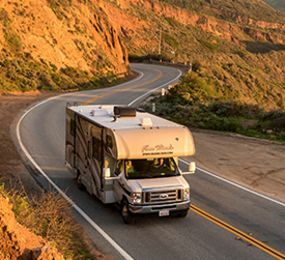 Road Bear RV is currently renting 2018-2019 models from manufacturers such as Coachmen and Thor. Five different size models are available for rent. How many days do you need the RV? | What model of RV do you want? | How many miles will you travel? | What season will you rent in (summer rates are highest - winter rates are lowest). Pricing does differ dependent on the season that you intend to rent in. In general summer rates are higher than pricing during the winter. As we experience a high volume of bookings over summer we recommend that you book early to ensure that we have a vehicle available. This will also mean that you can take advantage of our early booking rates which are available in late summer and fall for the next year. Road Bear RV has seven (7) ​rental locations in the United States. 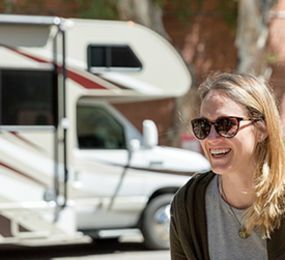 You can return the RV to your pickup location or select a one-way rental to another location.